This colourful recipe by Andrea Soranidis sees plump, spicy prawns paired with a vibrant mango salsa – the perfect summer starter for an al fresco dinner party. Al fresco season is officially open, invite your friends over for dinner and surprise them with a showstopping seasonal dinner! 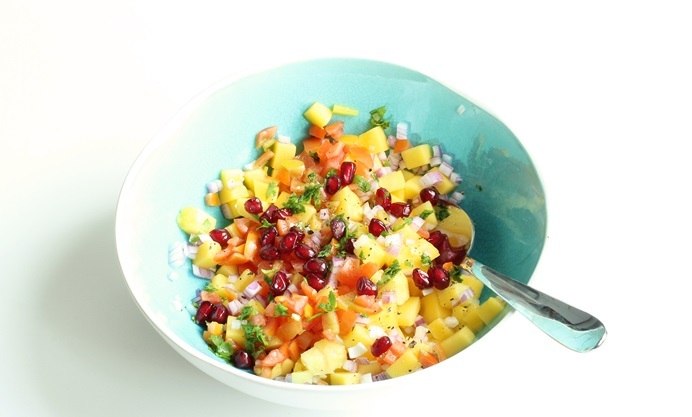 Spring is one of the best times of the year for food lovers, and hosting a dinner party is a tasty and fun way to enjoy some of the best seasonal ingredients such as salmon, asparagus and mango. This dish is inspired by the vibrant flavours of the Thai cuisine, for an effortlessly chic dish to put together in the comfort of your home. 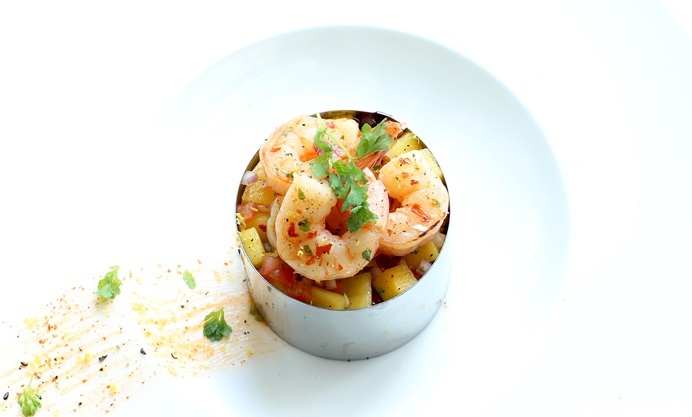 This Sriracha grilled prawns with mango salsa has a wonderful sweet and spicy combination yet delicate and fresh to the palate. 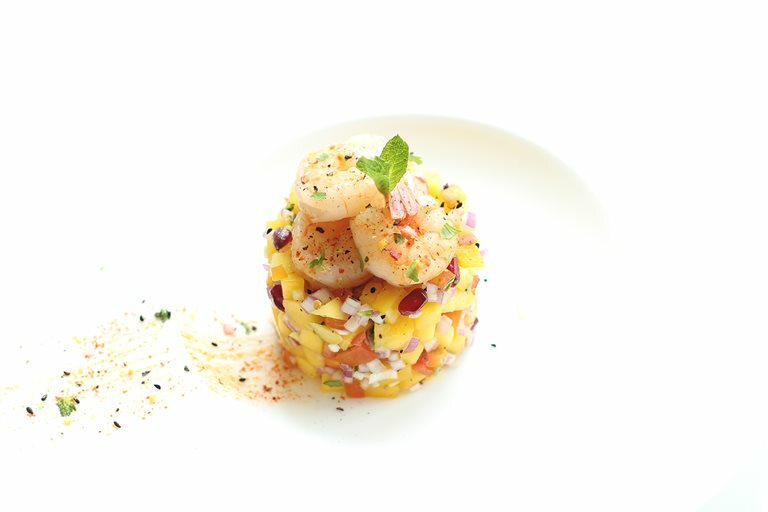 This beautiful appetiser is fantastic served alongside a glass of champagne, which offers a delightful contrast, and balances the hot and spicy flavours. 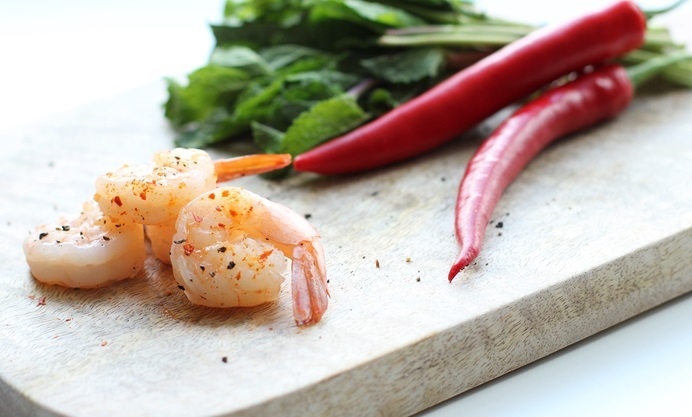 Top with the Sriracha grilled king prawns and sprinkle with lemon zest and chopped coriander. Serve immediately, enjoy!